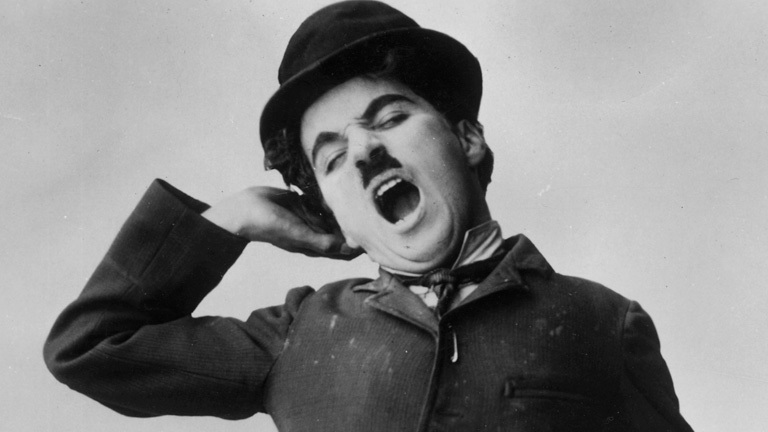 Chaplin was born to London music hall entertainers and made his stage debut at age five. While touring the United States with a stage company in 1913, Chaplin made his first comic short for Mack Sennett. This one-reeler was unremarkable, and Sennett asked Chaplin to come up with a more marketable film persona. The result, in 1914, was the figure of the “Little Tramp,” who was destined to become an icon of silent film comedy and even survived into the talking-picture era, culminating in the 1936 Modern Times. Most film historians consider Chaplin the greatest film comic of all time and one of the most important figures in the history of cinema.